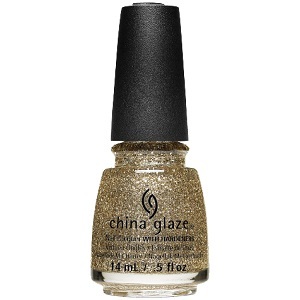 China Glaze Nail Polish, Big Hair & Bubbly, 1584, .50 fl. oz. Dense small gold hex glitter mixed with gold round micro-glitter in a clear base.